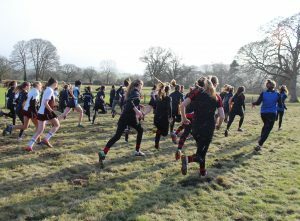 The Midlands Independent Schools Association Cross Country Championships took place in Bedstone College’s picturesque grounds on Wednesday 31st January. The event is a prelude to the National competition at Princethorpe College where the top ten runners from each region will compete. Bedstone College were a top performing school for the Midlands area with 15 qualifiers set to take on the next race. Over 800 young athletes entered the competition, with competing schools coming from throughout the region. Students competed in categories, with those under 10 years old running a 1500 metre race and distances increasing for older competitors. Senior boys were challenged with a 6000 metre race to run. Weather conditions were difficult regardless of age and ability, with rain and snow making the woods, fields and stream crossings a great test for runners. 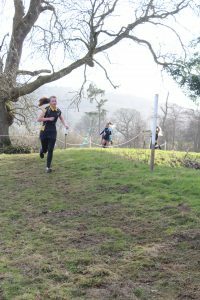 All competitors were tested on both hard and soft terrains, making the course a great learning and strengthening experience for any future athlete. Well done to all those who competed, an extra congratulations goes to James J (10th) in the Under 10 boys, Sam W (8th) in the Under 12 boys, Pip B (10th) in the Under 14 girls, Archie C (1st) and Ben S (9th) in the Under 14 boys. Leah B (4th), Lauren J (6th), Harriet T (7th), Anna M (8th), Chloe D (10th) all in the Under 18 girls, Mike B (2nd), Ally R (6th), Owen J (7th), Fraser T (9th), Harry S (10th) all in the Under 18 boys.